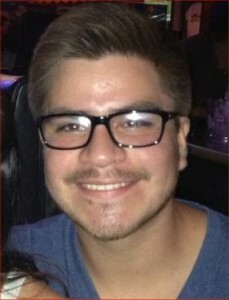 Friends and family are mourning the senseless loss of Omar Jaramillo, victim of a suspected drunk driver. Mr. Jaramillo was killed when his red Corvette was struck on the driver’s side by a Chevy Trailblazer SUV driven by Craig Welch. The wreck happened at around 12:15 a.m. Sunday morning at the intersection of FM 1960 and West Lake Houston Parkway. Mr. Jaramillo’s mother Irene was a passenger in the Corvette; she was injured and was transported to hospital. Deputies took 23-year old Craig Welch into custody and is facing a charge of intoxication manslaughter; Welch’s bond was set at $30,000 and Harris County public records indicate he is not presently in custody. Omar Jaramillo’s Facebook page shows a young man with many friends and a passion for cars. KHOU’s story is here. This entry was posted on Monday, March 10th, 2014 at 2:41 pm and is filed under Drunk driving accidents, Wrongful death.